The goal of this assignment was to test my understanding of how transparency affects colors. After painting a monochromatic image of myself, I drew shapes on top and selected colors for each one, filling them in based on how those colors would lay over my face if they were transparent. 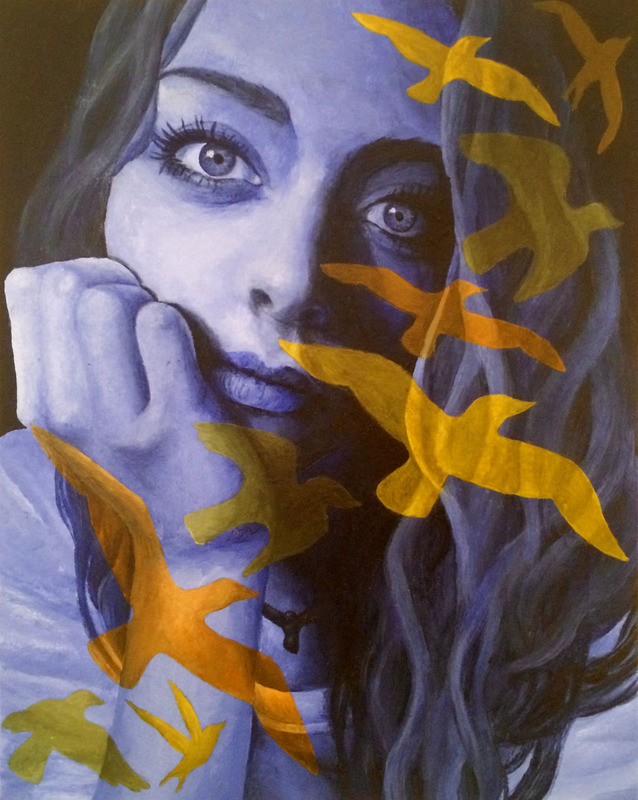 The project overall was a cool idea, but I prefer the way my portrait looked before I added the birds; you can check it out here.